Daniel is a Program Administrator in the State of Ohio’s Industrial Commission. He is a former resident of German Village and regularly volunteered during the annual Haus und Garten tour. He began running in 2011 with a 5k, and has since finished six marathons, including the Athens Classic Marathon in Greece, the Columbus Marathon and the Boston Marathon. 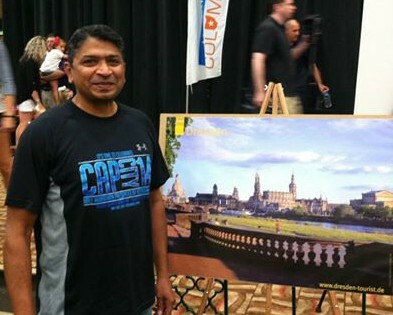 Daniel was inspired by reading Hans-Dieter Jancker’s article about his experience as a Dresden Ambassador to Columbus in 2013, where he finished first in the same age group and race in which Daniel finished third. We will make sure to get the two together in Dresden! Daniel will run the full marathon in Dresden. Jamie is a museum professional and works in Marketing/Communications at the Ohio History Center in Columbus. She is also co-founder and current president of the Columbus Emerging Museum Professionals, and serves on several other museum and history boards. Jamie will certainly find enough art and history in Dresden! Jamie was inspired to start running in races by her uncle, who is a runner, has MS and usually beats her. Jamie lived in Augsburg, Germany, for a while as a kid, when her dad was stationed there. She is hoping that some of her German friends will come to Dresden and either run with her or cheer her on. Jamie will run the half marathon in Dresden. 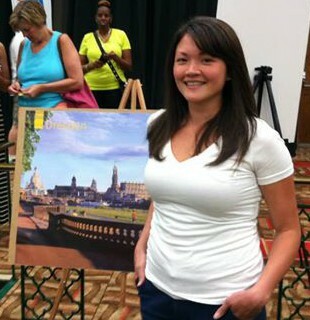 Krista is a special education teacher, mother of four, and an avid runner. 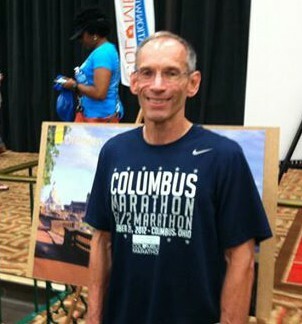 She has lived in Columbus all her life, and is a well-known face to many in the running community. Krista coached for the Columbus Chapter of Team in Training, a national fundraising group for the Leukemia and Lymphoma Society for 12 years. She has done the Columbus Marathon 14 times! She considers the Columbus running community her home and the stable element in her life. 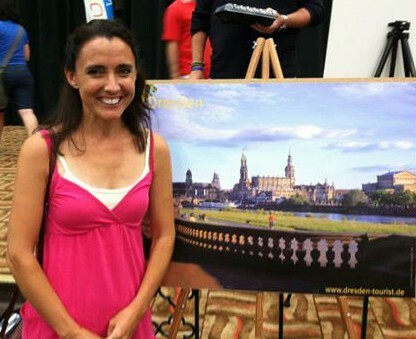 Krista will run the full marathon in Dresden. 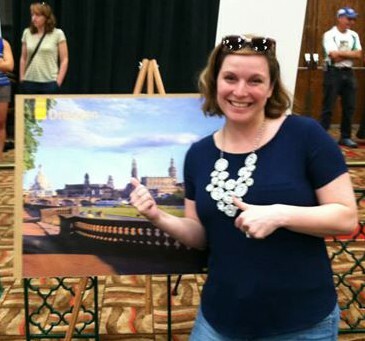 Sarah is an Online Communications Director for the Mid-Ohio Regional Planning Commission (MORPC). She has lived in Columbus most of her life, attended The Ohio State University, and now works for an organization dedicated to furthering the Columbus region. She takes a lot of pride in Columbus and enjoys showing her relatives from Japan her favorite Columbus landmarks when they visit. Sarah has been running for over 10 years and cofounded the MORPC Running Club with a colleague, where they lead 5-10 mile runs around the downtown Columbus area every week. Sarah will run the half marathon in Dresden. Shake is a consultant for design computer systems. He moved to the U.S. from Kuwait in 1993 and studied at Franklin University for his MBA. He has visited and lived in numerous countries in Asia, the Middle East, Europe and Africa, but he loves the U.S. best and definitely calls Columbus his home. Shake started actively running in 2010 after a long pause, and runs 10-15 races every year. Shake uses running and his passion for outdoor activities to raise money for multiple charities: he has climbed Mt. Kilimanjaro to raise money for schools in Africa and the Columbus area; and he raises awareness of safe drinking water by running half marathons while carrying a water backpack, and he participates in Pelotonia. Shake will run the half marathon in Dresden.